Daniel Edward Bathurst liked Sidney Kutchuk's blog post IRS & State offer good news for short sales in Calif.
Renee Ciufo, SFR, CNE commented on Sidney Kutchuk's blog post IRS & State offer good news for short sales in Calif.
"Thanks for finding that, Travis. You "out googled" me :-)"
Travis Waller, CRS commented on Sidney Kutchuk's blog post IRS & State offer good news for short sales in Calif.
"Currently, no state, excluding CA, has any type of Mortgage Debt Relief intact. As of two weeks ago, Congress finalized the fiscal cliff and word is that they will eventually retro act the bill from Jan 1, 2014-end of 2015. Says its not a priority…"
Alice Proski commented on Sidney Kutchuk's blog post IRS & State offer good news for short sales in Calif.
"I would love a clarification on this for Arizona." Suzette Kattula commented on Sidney Kutchuk's blog post IRS & State offer good news for short sales in Calif.
"What abt MI. I have 3 ss listings & just received an offer on 1 of them. Is MI included in the ss forgivness of debt? Until when? Thanks, Suzette Kattula"
"I believe the IRS ruling pertains to all states. California had a state-level bill for state taxes which was in question also." "I concur with Thomas, we need help in NJ!" Thomas Zdanowicz commented on Sidney Kutchuk's blog post IRS & State offer good news for short sales in Calif.
"Damn, what about NJ? Come on IRS and US Govt, help us all out"
"Diana, I have had lenders say the same thing after the close,that they did not like something and they were going to return the wire yet none ever have return a wire. How did yours play out. Did they return or reject the wire?" Sidney Kutchuk just updated their location. 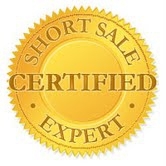 Temecula Short Sale Specialist Video - Were do you go? send me a quick email - Ben@ShortSaleShop.net and I will send you a copy of our QWR.